Lace Butterflies. 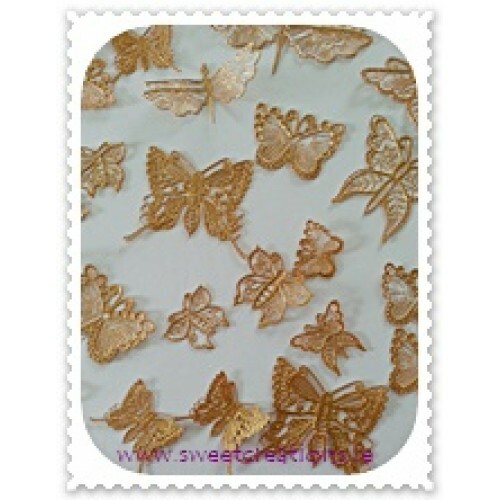 The most beautiful lace edible butterflies you will find. Attach them to your cakes using our edible glue found on the sugar craft essentials page. Suitable to attach to royal icing, sugarpaste, fondant, buttercream or chocolate. Available in a range of colours. 6 assorted butterflies per pack. €3.95 per pack. My Edible Sheep, (Sammy and Sarah) approx 2.5″. 2 per pack. €4.0032d Sheep ..